Ever wondered why some people seem to go through life with incredible ease and flow, while others seem to encounter nothing but struggle? Ever asked yourself the question ‘why does this always happen to me?’, or ‘why did this have to happen right now?’ – I know I have. But I’ve come to believe that every hardship is a blessing. As long as we choose for it to be. TLDR; Hardships come in many forms. And they can certainly seem insurmountable, but – however difficult – they never truly are. Unless, of course, we allow them to be. So what do I know about hardships, you might wonder. Well, I’ve had my fair share of disappointment, heartbreak, and loss. Just like you undoubtedly did; it’s simply part of the human condition. But I’ve learned that looking for silver linings when ‘bad things’ happen, is not naive. Unlike many people might like to tell you when you try. We all tend to have a very clear idea of what’s just and what isn’t, but it is not very helpful for ourselves nor the people around us to stay stuck on the notion that things are either ‘fair’ or ‘unfair’. Simply because considering ourselves – or others – to be victims is never really empowering. Regardless of the kind of struggles we face, we are probably better off when we look beyond whether or not the given situation is ‘fair’. Is it fair, for instance, when a friendly old woman, who has close to nothing, gets robbed of the little money she owns? And is it fair that someone gets ill, despite the fact that they tend to look after their body very well? Or that a professional athlete, who trains every day with great discipline, gets injured? I’d say no, no and no again. But we can never know what is just around the corner for any of them. In the grand scheme of things, all of these situations could hold blessings. Every hardship can be a significant dot leading you into a better future. If we try to accept whatever arises as it comes, we can start to move with the current, instead of against it. And yes, this might guide us into a whole new direction. But maybe that’s because we’re supposed to be redirected (and although we can not direct the wind, we can adjust the sails). 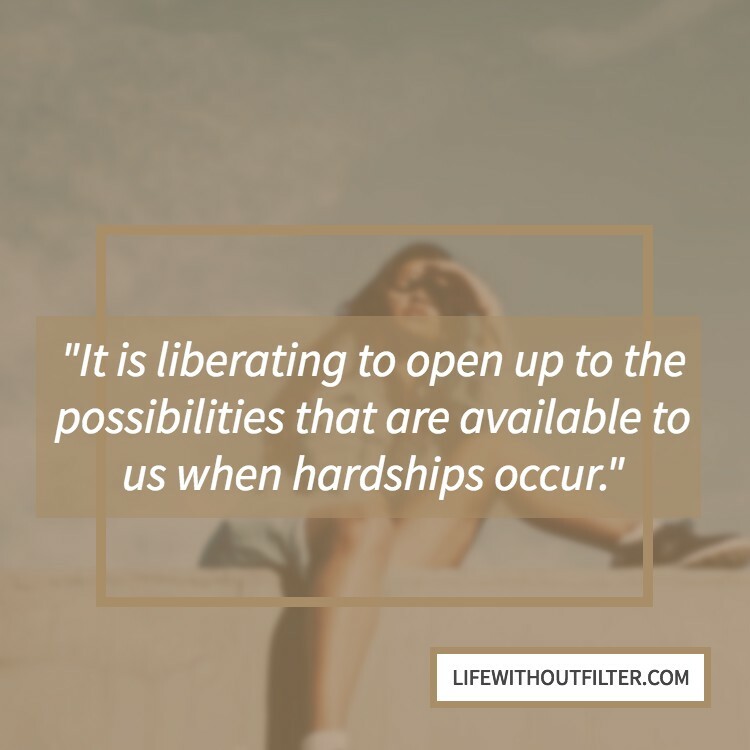 It is liberating to open up to the possibilities that are available to us when hardships occur. Like reconnecting with a friend or a family member, for instance, by simply asking for help. Or discovering what it is you do want, now that you are faced with a situation that you really do not want at all. Another reason why it’s not very helpful to stay stuck on the notion of ‘fairness’ when hardships enter our lives, is that justice is an action, not a reaction. We can certainly ‘do justice’, but we can’t really ‘get it’. God: “Justice” is not something you experience after you act a certain way, but because you act a certain way. Justice is an ACT, not punishment FOR an act. Neil Donald Walsh: I see that the problem with our society is that we seek “justice” after an “injustice” has occurred, rather than “doing justice” in the first place. God: Right on the head! You’ve hit the nail right on the head! From: Conversations with God – Book 3, by Neil Donald Walsh. That sad feeling of a disappointment though… No matter how hard you may try to avoid it by expecting less, it sometimes just sneaks up on you regardless. Reminding you that you can not lie to yourself (or to others for that matter) about things that are truly important to you. Ultimately, that what you really hope, wish, strive, and aim for, will reveal itself to you via a feeling of disappointment if it has not been reached, received, or obtained. But instead of letting disappointment get the best of us, we can opt for something else too: curiosity. I’ve learned to become utterly curious about disappointment whenever it sets in. And this created a major shift in the way I experience it. Does this prevent me from experiencing it in the first place? Certainly not. But I believe fearing the feeling keeps us stuck on the same level of consciousness. Fearing disappointment prevents us from taking risks and dreaming big. But it does not prevent disappointment itself. But what if you want to get ahead in life? In your job, your career, your relationships, and your financial situation? 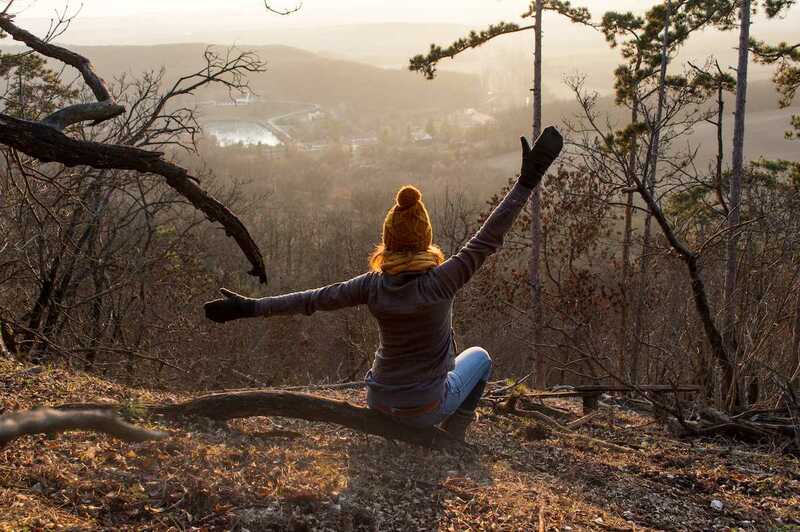 I decided – yes, it’s a choice – that instead of letting disappointment knock me down, I’d use it as fuel. Fuel to set my goals, get my hopes up, and improve the way I communicate. Ever heard someone tell you: “don’t get your hopes up”, or “you’re just setting yourself up for disappointment”? I certainly have. Countless times. But what do you reckon these phrases are meant to do? Stop us from pursuing our dreams? Or stop us from dreaming at all? If that’s what they intended to do, I guess they were very effective in my case. For a while. Since I never thought those remarks were very encouraging. They discouraged me. They protected me. They kept me small. But what I believe we ought to tell each other is: “yes, try”, or “go for it, see how it turns out”! And then teach each other how to get back up when the disappointment does come. Because oh yes, it will come. Often. But ironically, it will come just as much from not doing, not wishing, not hoping, and not trying. Your dreams may become smaller from receiving discouragement, but the disappointment won’t. And if you actually trust you can make something happen, in most cases, you can. On the other hand, if you don’t believe you can, you’ll be right too. Disappointment is a great assistant in getting clarity on what you do and don’t want. No more, no less. So at some point in my life, I decided to start searching for meaning in setbacks. And when I couldn’t find any meaning, I’d look a bit harder. And then a little harder. Also, instead of running away from potential experiences of let-downs, I started to run towards them. Because everything you want truly is on the other side of fear. When you consider negative emotions as great teachers instead of unwelcome guests, you can really learn a thing or two. And one of the most interesting lessons I learned, is that when you stop to consider why you are disappointed at any given time and dig in a little deeper, you can discover some amazing new goals to work towards. Be it in work, relationships or life in general. I discovered, for instance, that it’s not always the things we see on the surface that matter that much to us or cause the frustration. Often, I’d find I was actually aiming for something else than I initially thought – e.g. I could have been disappointed about not receiving a certain project at work when what I really wanted was validation. And there are other ways to get that too. These 6 questions help me get more clarity on where I do want to go when disappointment is clearly making me feel where I do not want to be. Obviously, they work best when the feeling is still fresh. What did I want (to achieve)? What did I do that (may have) compromised the desired outcome? What did others do (or not do) that disappointed me? Could I have prevented that and if yes, how? Is there any other way in which I can fulfill this need? Because of the time and effort that I would take to work through these questions, I’d immediately get a sense of moving forward. Because now, whatever the situation was, it did not happen to me anymore, it happened for me. In most cases, the internal investigations lead me to a deeper understanding of my wants and desires and help me work on my goals in a far more focused and distinct manner. What did I expect from him/her? Was this reasonable to expect/did the other know? Why did I not receive what I expected? Did I do everything I possibly could have done to make it happen? Is there anything I can say/do now that could make the other person understand? Can I give it to myself in another way next time? And behold, here are the opportunities to improve how I communicate. In ‘postmortem interaction’, or simply to prevent the disappointment the next time. Because in most cases, disappointment in others stems from lack of communication on my part. And understanding that and taking full responsibility for the encounters you have with others, is very empowering. Although more challenging, even heartbreak and loss can be considered as blessings. Like Life Without Filter on Facebook or follow me on Medium to keep yourself posted. And I’d love to hear your thoughts below. How do you get fuelled by setbacks?